I didn't realize until recently how much of my wardrobe was purchased secondhand. 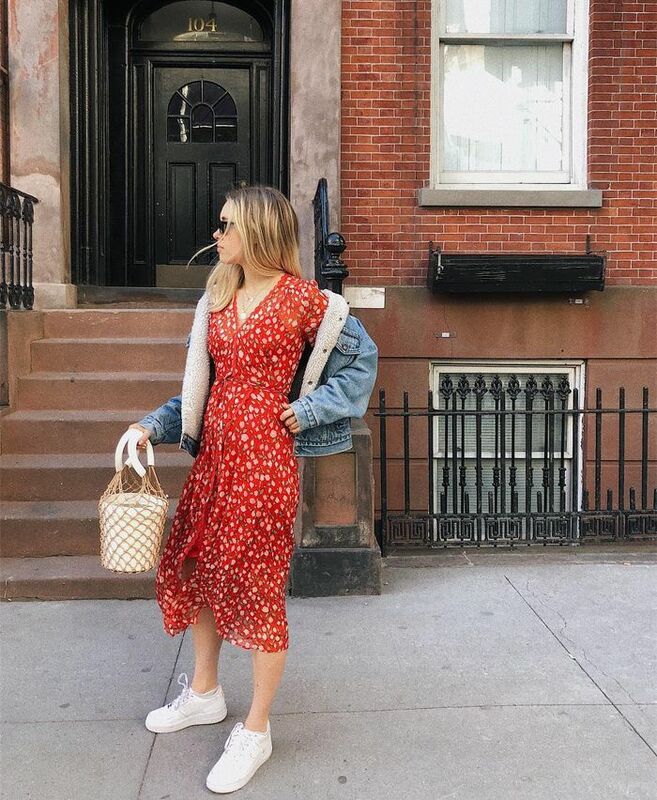 While working in fashion, I feel like I'm always seeing new, new, new, but when it comes to my personal wardrobe, I find that many of my favorite purchases over the last decade or so are ones that I found by chance. This ranges from something as fancy as a Céline bag (a ridiculous stroke of luck) to a $1 T-shirt I found in a bargain bin somewhere outside Sacramento. While I can't pretend that there's anything glamorous about meticulously thumbing through pastel pantsuits and cat-print sweaters, I often feel that the pieces I find secondhand are a true testament to my personal style. It's often easy for me to get swept up in the next trend or hunting for a random piece that got away three years ago, but stumbling across a vintage jacket I love has a certain intimacy and connection that I haven't found shopping for something new. I know that the idea of wearing other peoples' clothes freaks some people out, but for me, it's cool to imagine a bit of history and life in something that becomes an intimate part of my closet. And while sustainability may not have been the reason I got into secondhand shopping, it's a great reason to keep it up. Read on for six reasons I love secondhand shopping and maybe snap up a little something for yourself. I found these past- season Chloé mules on Vestiaire Collective after regretting the fact that I didn't buy them when they were first available. With some hard work, I ended up finding them and two years later still wear them all the time. I own one fancy Céline bag, but when I tell people that I found it at Buffalo exchange, there's a certain look they get in their eyes: disbelief. While most of the times that I visit a secondhand shop I leave empty-handed, those white whales do exist. Rural bargain thrift shops are a great place to discover trendy pieces for cheap. Whenever I'm on a road trip, I try to stop by a small town secondhand shop and peruse. A prime example of a win: This straw bag was a $2 find in rural California. Studies have proven the IKEA effect, if you work hard on something, you'll love the end result more. I find this is true with my wardrobe too. Secondhand shopping takes work, but the reward is often greater when I reflect on all that added rack-raking. Available in sizes FR 38. It takes a lot of time and energy to secondhand shop, but when I'm in the mood, it can actually be fun sifting through overstuffed racks in search of something unexpected. This fleeced denim jacket was a $10 Goodwill find and I've worn it for over seven years, so that's money well spent. I tend to shop with a list in mind. I enter a store knowing what my closet is lacking and what I actually need. But part of the fun of secondhand shopping is the fact that I can find things that I never even knew I actually needed. Now you're all set to do a little secondhand shopping yourself.